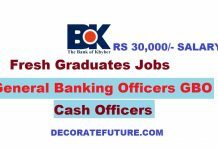 Applications are required for Bank Al-Habib Jobs in Pakistan as Graduate Trainee Officers 2019 in all cities of Pakistan. The Al-Habib Trainee Officers Program is for fresh graduates and having no experience and wants to make a career in banking. 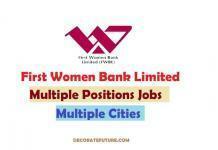 The Bank Al-Habib Trainee Officers job is providing great job opportunity with a salary of Rs 35000/- Per Month. The primary responsibility as Trainee Officer is to work in branch banking / Departments / Divisions, meeting the bank’s service standards. 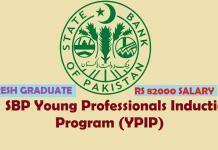 Minimum Bachelors (Throughout 1st Division in Bachelors/ Inter / Matric is must) For All bachelors except I.T. 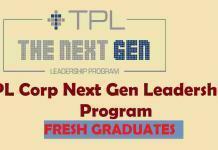 As per the job as Graduate Trainee Officer requires a pleasant personality, excellent communication skills and knowledge of working in a computer-based environment. 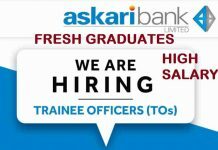 The last date to apply Bank Al-Habib Trainee Officers is 25-March-2019.